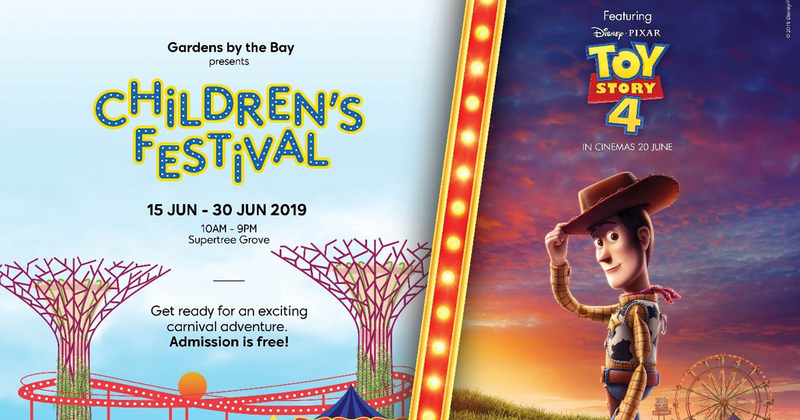 Gardens by the Bay makes dreams come true by immersing young visitors into the colourful world of upcoming film Disney Pixar’s Toy Story 4 at its annual Children’s Festival. Held from 15 to 30 June, Children’s Festival by Gardens by the Bay is made possible as part of the three-year collaboration between Singapore Tourism Board (STB) and The Walt Disney Company Southeast Asia (Disney), themed around Disney’s popular stories and characters. Disney Pixar’s Toy Story 4 will be in cinemas across Singapore on 20 June 2019. 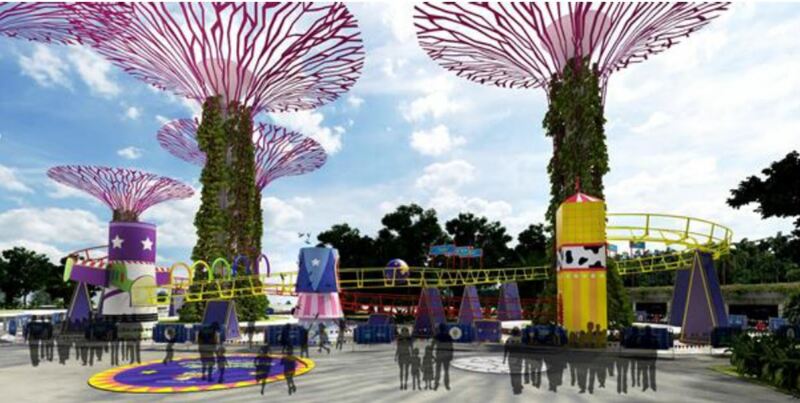 With free admission for all visitors, Children’s Festival 2019 will see the transformation of Supertree Grove into a carnival filled with family-friendly games and activities, inspired by Buzz, Woody and the gang. Young visitors will also learn about friendship and teamwork through various activities. Festival-goers can also expect Star Adventurer, where young visitors can race in self-driving cars in order to recharge Buzz Lightyear; and Bo Peep’s Adventure, a fun obstacle course for children to test their speed, agility and endurance. There will also be carnival game booths featuring Woody and Jessie. Moreover, the festival will feature the first ever Disney Pixar’s Toy Story 4 themed marble run track in Singapore. Happening twice every hour, visitors can gaze up to two of the Supertrees and follow the 1.5-metre-wide marble as it weaves around the towering structures and travels along the track that spans approximately 150 metres. The attraction will be accompanied by familiar tunes from previous Disney Pixar Toy Story films. The day ends on a magical note with a special Disney Pixar’s Toy Story 4 inspired-edition of the Garden Rhapsody, a signature light and music show by Gardens by the Bay. Visitors can also look forward to bring the magic home with exclusive merchandise available for purchase at the Festival. Information about the Festival can be found here, with the full programme line-up to be announced at a later date.